It’s human nature to take for granted the simplest objects we use in our day to day lives. We don’t really think about them, we don’t wan’t to know who designed them, we don’t want to know how it came to being (most of us, at least). To us, it is just something that does what it is supposed to do without calling for attention and something that is supposed to be there when we need it. 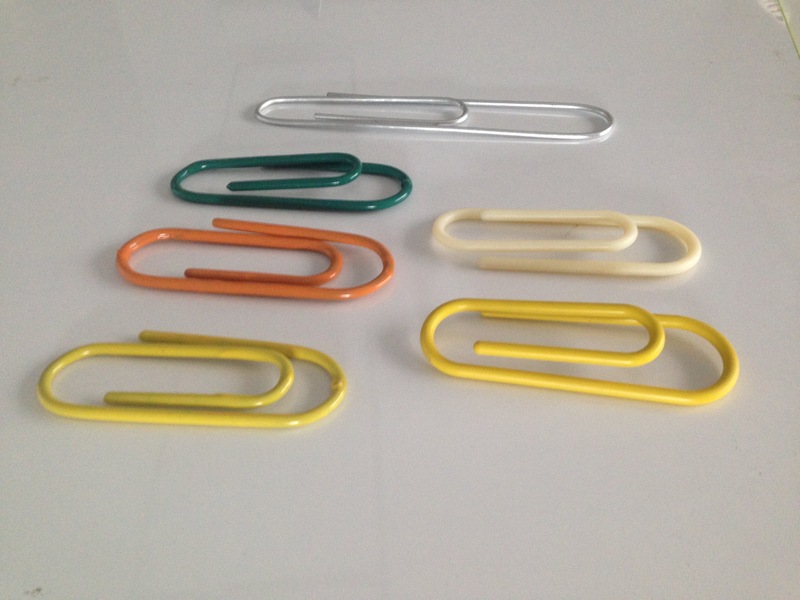 Take for example the humble little paper clip. A straight metal wire bent into a particular shape turns it into a fully functional clip. How awesome is that?! And, it does what it is supposed to do (hold few sheets of paper together) very, very well. But that is not all it can be used for right? 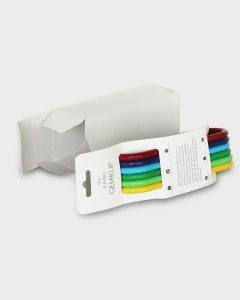 The shape and clipping nature of it makes it possible for us to find new and creative uses for it (bookmarks, cable management, zipper replacements and more). So there we have it, a common office stationery item and its uses can now be seen as an exercise in creative thinking. We were mighty impressed with the scope these little clips gave us in terms of putting it for newer/better uses and couldn’t help but wonder what could be the possibilities if only the clip was made bigger. This was the thought that sparked the idea for Jumbo Gemklip – A super sized paper clip that can be put into use any way the users see fit, to inspire themselves and the people around to do more. A few prototypes and a plethora of newly discovered usage possibilities gave us all the motivation we needed to get started with the production. 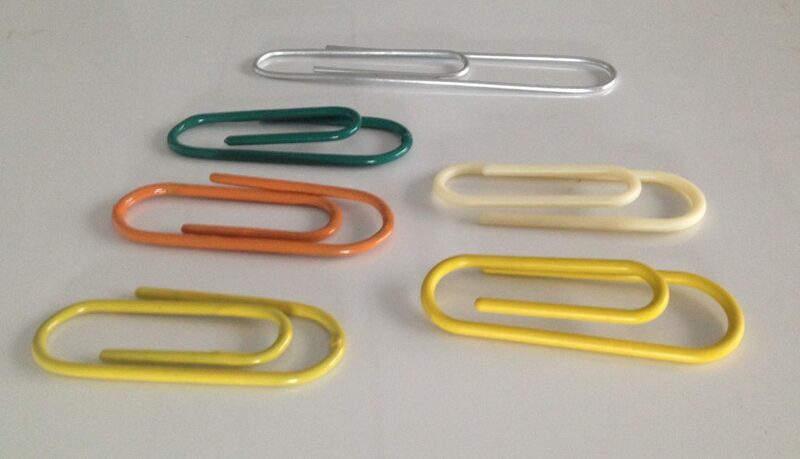 Samples from first production batch, in patriotic colours. 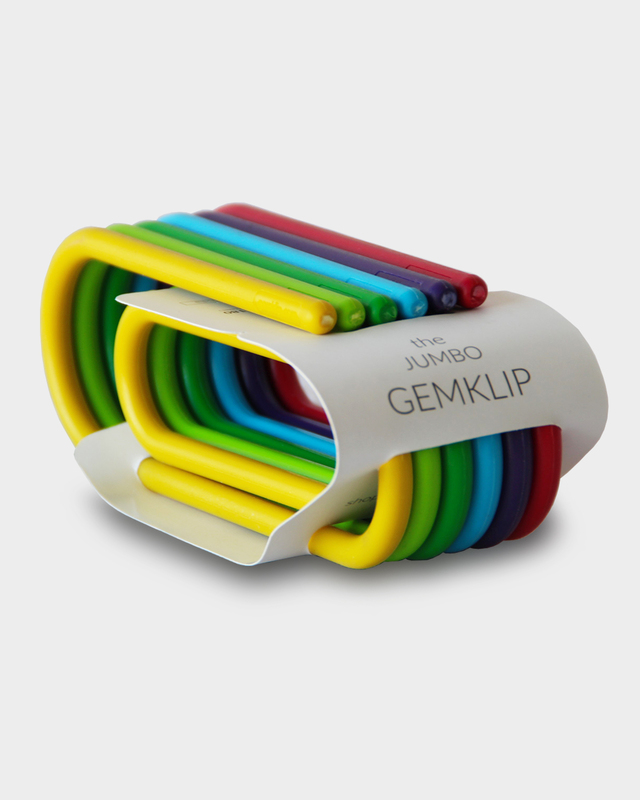 It was decided to make the Jumbo Gemklips available for purchase as a set of six in six attractive colours. You can buy one here. And if you have these already and found interesting uses make sure to share it on our facebook page.